45P/Honda–Mrkos–Pajdušáková is a short-period comet discovered by Minoru Honda on December 3, 1948. The comet is named after Minoru Honda, Antonín Mrkos, and Ľudmila Pajdušáková. The comet has an elliptical orbit with a period of 5.25 years.The nucleus is estimated to be 0.5-1.6 kilometers in diameter. During the 2011 perihelion passage the comet was recovered on 5 June 2011 at apparent magnitude 21. The comet passed close to Earth on February 11, 2017. This image was taken on the night of February 23th 2017 . 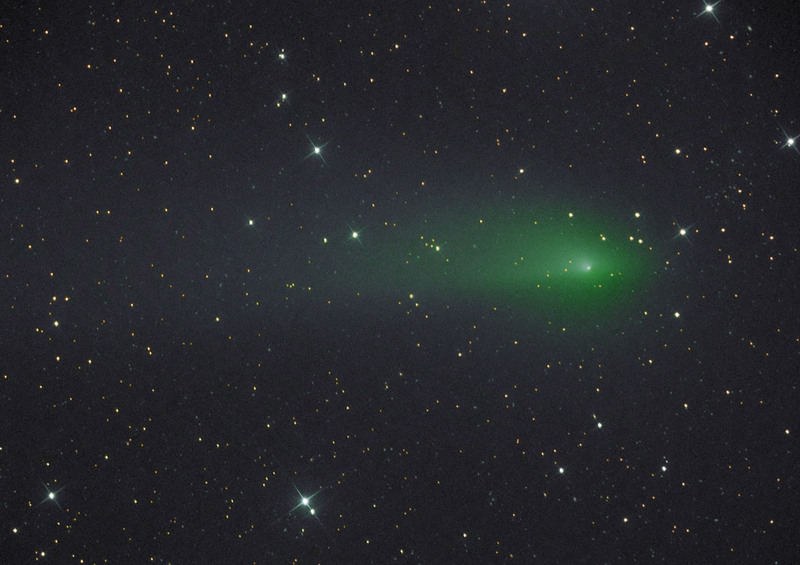 An image of the same comet during its previous perihelion passage can be seen here.